Tsur Shezaf was born in Jerusalem in 1959. 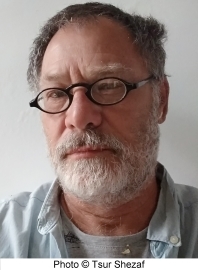 He studied archaeology, geography, history, theater and marine biology at Tel Aviv University, and has worked as a research fellow at the Institute for the Philosophy and History of Ideas and Sciences. 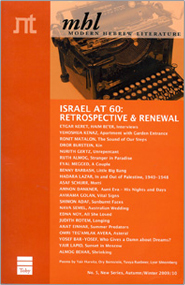 Shezaf was editor of the Keter Travel Library, as well as senior writer and editorial staff member of Masa Acher, an Israeli geographical magazine. As a journalist and photojournalist, Shezaf has been on special assignments (including to Somalia, Chechnya, South Sudan, Kosovo, Afghanistan, Libya, Iraq and Yemen), for Masa Acher, Yedioth Ahronoth, Ynet, Haaretz, Channel 10 and Channel 1 TV, and his travels serve as the basis for his literary work. He received the Prime Minister's Prize in 2008.